Supplies of clean drinking water and safe water sanitation are at risk from a number of factors such as climate change, pollution, demographic change and ageing infrastructure. Coping with these challenges in a sustainable way requires a couple of elements: First, it is key to develop a clear understanding how sustainability of urban water services can be defined and assessed. Second, the actual transition planning involves several steps such as diagnosis (where are we now? ), vision (where do we want to go? ), analysis (what is needed to get there? ), technology & management options (what can be done? ), prediction (what happens if? ), decision-support (which option is the best one?) and finally the acceptance by decision-makers and stakeholders. 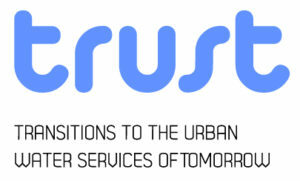 TRUST has developed a portfolio of solutions, tools, guidelines, software and training material for all of these steps, and has demonstrated their feasibility and usability in ten participating city utilities across Europe.